We have an opportunity in Italy available coming up soon on the 15th of April. 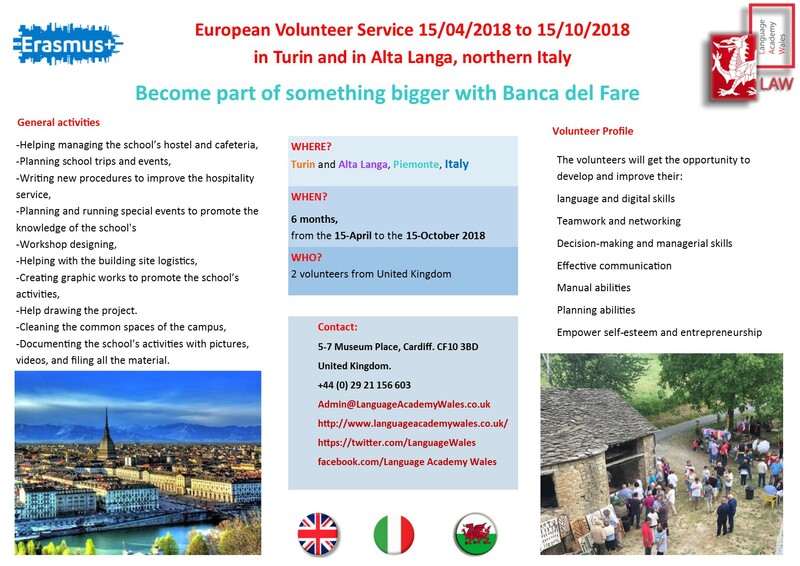 We are looking for volunteers who would be interested in heading to Italy. For more information you can read the below flyer.